No more out of shape eyebrows! It's now time to have symmetrical eyebrows that look great and stylish. 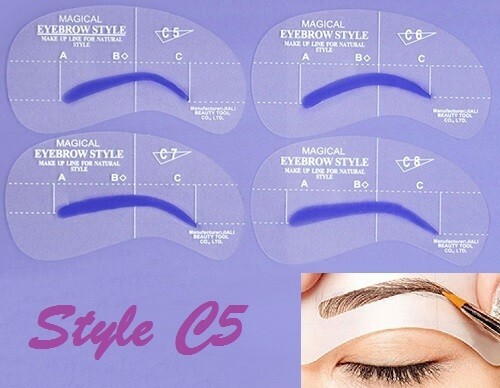 Set contains 4 piece stencils of different shapes of eyebrow. Each stencil is reusable and can be used for left and right. Great design allows for easy tracing. The variety gives you the opportunity to change up your style as many times as you like to match your outfit and mood.